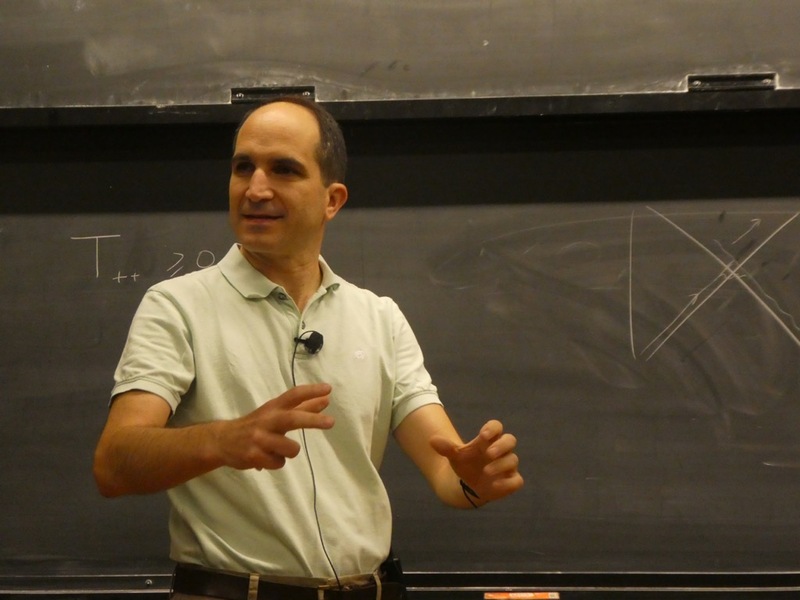 Juan Maldacena, Carl P. Feinberg Professor in the School of Natural Sciences, at the Institute for Advanced Study, has been awarded the Lorentz Medal for his innovative work in theoretical physics. Over the past two decades, Maldacena has made major contributions to the understanding of the quantum physics of black holes. The Lorentz Medal, established by the Royal Netherlands Academy of Arts and Sciences, is awarded every four years to a researcher who has made groundbreaking contributions to theoretical physics. The medal will be awarded to Juan Maldacena on Monday, November 19, 2018. Maldacena has given multiple talks at the Simons Center. A full list of his talks at the Center can be found in our video portal here. In May 2017 he became a member of the SCGP Board of Trustees. Mini-course by Paul Wiegmann: Selberg Integrals and Their Applications to Conformal Field Theory, Quantum Hall Effect and Hydrodynamics.